Weichai Holding Group - Subsidiaries Introduction - About Us - Shandong Heavy Industry Group Co., Ltd. 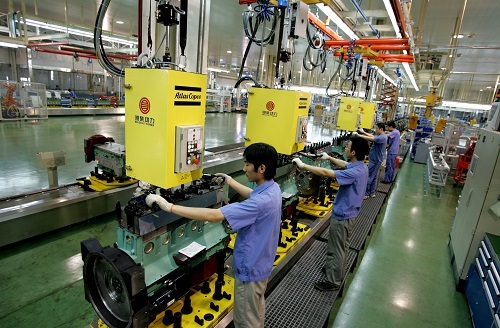 Founded in 1946, Weichai Holding Group is currently one of China’s strongest producers of automobile equipment. It has more than 50,000 employees worldwide and came in 109th on the 2012 list of China’s 500 most successful companies, 39th on the list of Chinas top 500 manufacturers, and 2nd on the list of China’s top 100 machinery enterprises. It is an Chinese national company to possess four major business platforms, which respectively involve complete vehicles, powertrain systems, luxury yachts and automobile parts. 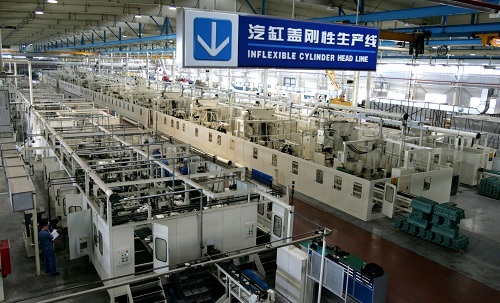 This company is an international company that is engaged in different domains and industries, and it sets up branches in Europe, North America and Southeast Asia as well as wholly owned subsidiaries and holding subsidiaries in Shandong, Shaanxi, Hunan, Hubei, Chongqing, Jiangsu, Shanghai and other provinces and cities. The company has successively been honored with the “National Quality Award”, “National Innovative Enterprise”, “China Industry Award”, “National Advanced Primary CP Organization” and numerous other awards. Also, the “Weichai engine”, “FAST transmission”, “Hande axle” and “Shaanxi Automobile heavy-duty truck” have successively been awarded the titles of “China Brand Products” and “China Famous Trademarks”. This showcases the Group’s cluster brand superiority. The company’s mission is embodied in its slogan: “green power and an international Weichai”. The company aspires to enter the ranks of the world’s top 500 companies. Striving to become an international enterprise that is guided by the concept of complete machines and centered around powertrain systems, Weichai intends to become an internationally unique leading equipment manufacturer.